At the Global Health Security Agenda meeting hosted by the CSIS Global Health Policy Center and its partners on Sept. 26, I had the opportunity to meet Dr. Melvin Korkor, a physician, lecturer and Ebola survivor from rural Liberia. As a local health worker in Liberia, Dr. Korkor was able to provide insights on the challenges faced by Liberian health workers prior to the Ebola outbreak in his country. His heroic first-hand story demonstrates how the rapid spread of the virus has exacerbated these conditions and decimated already-strapped public health systems. FHWC: Could you introduce yourself, and tell us a little about the hospital and region your work in? Dr. Korkor: I'm Dr. Melvin Korkor, a lieutenant physician at Phebe hospital, which is found in rural Liberia. I'm also a teacher and a lecturer: I teach at the College of Health Sciences, Nurses and Physician Assistants. FHWC: Do you mind reiterating your story you shared at today's conference on the Global Health Security Agenda, from your first point-of-contact with Ebola at your hospital, to where you are today? Dr. Korkor: It all started when there was an outbreak of Ebola in Lofa country, which is close to the border between Liberia and Sierra Leone. Guinea is quite far from my hospital, so Liberian health workers did not know much about Ebola because we have never had a major outbreak. We got to know about it when a lady came to the ER in the hospital with [displaying the following symptoms:] headaches, back pains and sleepless nights. Because we did not know much about Ebola, we decided to diagnose her with a case of malaria and typhoid. The patient subsequently died, and we got to know that she died of Ebola. A few weeks later, 10 of us were confirmed positive: five nurses, one physician assistant, one laboratory technician, and two ambulance drivers. I am the only survivor. I was infected because of humanistic compassion: I touched one of the nurses who came down with Ebola without using gloves, I think that was my mistake. A few days later I felt sick, and isolated myself from my family. My blood sample was taken to Monrovia, it was tested and came out positive. 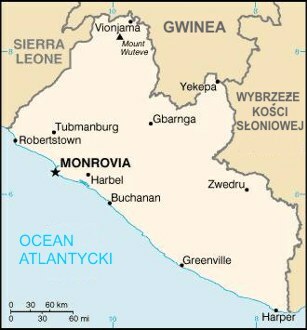 I was transferred to Monrovia, where we have the Ebola treatment unit (ETU). I discovered that three of my nurses had died, and two were in critical condition. Whilst I was there, I re-hydrated myself, and though I did not want to eat, I had to eat a lot so the transfer worked. I had contact with one of the nurses, who was on her dying bed. I told her to brave, confident and courageous, but she told me she was going to die. While we were talking, she asked me to take care of her two kids, and subsequently she died. Days later, I was discharged from the hospital and went back to Bong County. The hospital was closed. With the construction of the Ebola treatment unit in my County, I hope that my hospital will be re-opened. We usually give care to pregnant women, to [children] under [age] 5, and we receive patients from Monrovia, Guinea, and Ivory Coast. We hope our hospital will be re-opened. We have an ETU where we will stop and prevent transmission. We need help. We need our health workers to be trained in infection control practices, we need more infectious control supplies, and more ETUs in all parts of Liberia. FHWC: What are the barriers health workers face to detecting and preventing the rapid spread of Ebola in Liberia particularly? Dr.Korkor: We have many problems we are faced with. We have limited equipment and supplies to work with. We have low incentives – we cannot push people's lives on the frontlines if we do not give them enough money. We have low training. These are a few of the problems health workers face. FHWC: A lot of the coverage we have seen has been focused on the shortage of health workers and weak health systems in Liberia that made it unprepared when Ebola hit. Can you explain some of the challenges you faced before Ebola, and how the challenges have been exacerbated since the outbreak? Dr. Korkor: One of the conditions the health workers [face] is that if the ETU is not constructed in the county, the hospital will not be re-opened. This is because all confirmed, probable and suspected cases must still go to the hospital if there is no ETU. Now that we have we have constructed a ETU, we should definitely be able to re-open the hospital. Although our hospital was officially closed, we were still responding to labor and delivery complications. When the hospital was closed, we did close to 50 Cesarean sections, and did many blood transfusions to treat children with malaria and anaemia. Still, with the closure of the hospital, we have had a lot of cases where people haven't been treated. No health worker wanted to put their life on stake [in a hospital], so our hospital was closed. That has a huge impact on the lives of Liberians. FHWC: If you could advise the U.S. Government, how would you suggest they fund health systems, and support and strengthen the health workforce in Liberia? Dr. Korkor: The public health system we have in Liberia is very poor. Curative measures are very expensive. We have very poor public health structures in Liberia, and have poor training for health workers. Health workers need to be well trained. We need more supplies. We need to encourage our health workers. We need to step up their salaries, so that they are happy to work. They need to have benefits and insurances, so that if anything happens to them, they can cover for their families. We need more hospitals, and trained and qualified health personnel. If all that was done, we would have a very vibrant health care system in Liberia. I thank Dr. Korkor for taking the time to sit down with me and share his valuable insights on the state of Liberia's health workforce amidst the Ebola epidemic. Like Dr. Korkor, health workers throughout West Africa are on the frontlines of providing life-saving care despite immeasurable costs to themselves and their families. Dr. Korkor is sharing his story and meeting U.S. Government officials in Washington to advocate for the strategic and sustainable long-term investments needed to build a resilient Liberian health system.